Box and burn: The new approach to fighting wildfires. A new fire, being dubbed the Pine Fire, breaks out in the mountains near the ski community of Wrightwood, California. Fire season has so far mostly meant Alaska, which has racked up 1.8 million burned acres and counting. But fires are also moving down the West Coast, with a record burn on the Olympic Peninsula and houses again burning in central Washington. Flames are moving into drought-blasted California a couple of months early. The Forest Service estimates it will need an additional $800 million to $1.7 billion to pay for the season’s expected costs. But wildfire statistics are a poor proxy for what is happening. Last year Florida prescribe-burned 2.5 million acres—two-thirds as much acreage as burned by wildfire throughout the country. And this year’s largest fire to date in the Lower 48 is actually a managed wildfire. The Whitetail and Sawmill fires on the San Carlos Apache Reservation are being controlled through a confine-and-contain (or box-and-burn) strategy. The complex is 35,000 acres and growing, and doing what neither prescribed fire nor suppressed wildfire could. Last year San Carlos similarly managed two fires that together topped out at 84,000 acres. America’s fire scene is more complex than the usual media and political obsession with burned houses, dead people, and celebrity landscapes like Yosemite suggests. So are the strategies to cope with it. Three strategies are now in play, each the product of a particular era and its peculiar challenges. After the Great Fires of 1910 overran the Northern Rockies, traumatized a fledgling Forest Service, and created an American style of fire protection, we spent 50 years trying to remove fire from the land. Call it a strategy of resistance that sought to eliminate threats before they could become serious. The U.S. Forest Service provided an institutional matrix. That doctrine failed because it excluded good fires as well as bad. Then, beginning in the 1960s, we tried, in the form of prescribed burning, to put good fire back in order to dampen wildfires and promote ecological health. We also sought to yoke fire management to land management. Call it a strategy of restoration. This project has now run its own 50-year course. The prospects and problems of fire by prescription—of substituting tame fire for wild fire—have become clearer. It has worked wonderfully in the Southeast and in patches of Midwest prairie but stumbled in the West, where it more resembles hobby farming than the industrial-strength burning required. During that same period, the hegemonic Forest Service was dethroned in favor of a pluralism that put fire management on an interagency and eventually an intergovernmental arrangement. Civil society even became involved. The Nature Conservancy, for example, prescribe-burns as many acres annually as the National Park Service. These reforms widened the options for managing fire rather than simply trying to suppress it. Unfortunately, the new players, rather like the eurozone, have failed to replace the old order with a cohesive alternative and have left unresolved the questions of who should pay and how we should decide. Which leads to a consideration of what the next 50 years might hold. A strategy seems to be congealing in the West that we might label resilience. It seeks to make the best of the hand we are being dealt. Consider each of these strategies in turn. Resistance. Fire suppression continues to thrive because there are fires we need to stop, but the strategy has also reinvented itself from simple firefighting to an all-hazard emergency service model that effectively looks like an urban fire department in the woods. This makes sense in places defined by urban sprawl, but it’s expensive, and it has not shown it can manage fire. If the strategy retains the strengths of fire suppression, it also magnifies suppression’s weaknesses. Restoration. Restoration’s ambition is to get ahead of the problem. Yet the vision has proved expensive and complicated. Federal, state, and local jurisdictions are all involved with many projects. Before controlled fire can, in fact, be controlled, there often need to be expensive pretreatments like forest thinning. 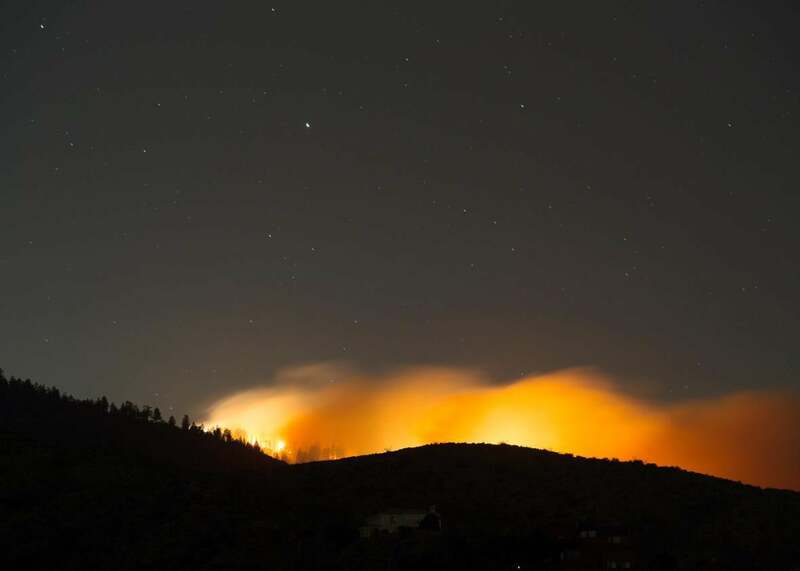 Emissions from long-burning fire can linger, causing other problems. Between the financial, political, and social costs, there is little reason to believe that the country will muster the will to rehabilitate, at the rate or scale required, the tens of millions of acres believed by the Forest Service, Nature Conservancy, and the Government Accountability Office to be out of whack. Probably the best we can hope for is to shield high-value locales like exurbs and municipal watersheds. Resilience. A new strategy from the West accepts that we are unlikely to get ahead of the problems coming at us. Instead of attempting to directly control burns, it confines and contains outbreaks. Of course there are some fires that simply bolt away from the moment of ignition, and there are some that must be attacked instantly because they threaten people or critical sites. But many fires offer opportunities to back off and burn out. These are not let-burns. Rather, fire officers concentrate their efforts at point protection where assets are most valuable. Elsewhere they will try to pick places—draw boxes—which they can hold with minimum expenses, risks, and damages. Some patches will burn more severely than we would like, and some will barely burn at all, but the rest will likely burn within a range of tolerance. Such burnouts may well be the West’s alternative to prescribed fire on the Southeastern model or to unrestrained wildfire. No one method is necessarily or always superior to the others. We might liken the resistance strategy to a rock, the restoration strategy to scissors, and the resilience strategy to paper. At any given time and place one trumps another and is itself trumped. We need all three. We need rocks around our prize assets and communities when they are threatened by going fires. We need scissors to buffer against bad burns and nudge toward good ones. And we need paper because the ideal can be the enemy of the good. So expect to hear a lot about rocks this summer, particularly if California’s combustibles blow up. But the future lies with the scissors and paper.